My Fabulous Class: Two Milestones=2 FREEBIES!!! As you know, I have been celebrating my one year blogiversary. During this celebration, I reached 100 followers on my blog. I have TWO FOREVER FREEBIES. The first is this adorable Peeps Beginning Sound Match. 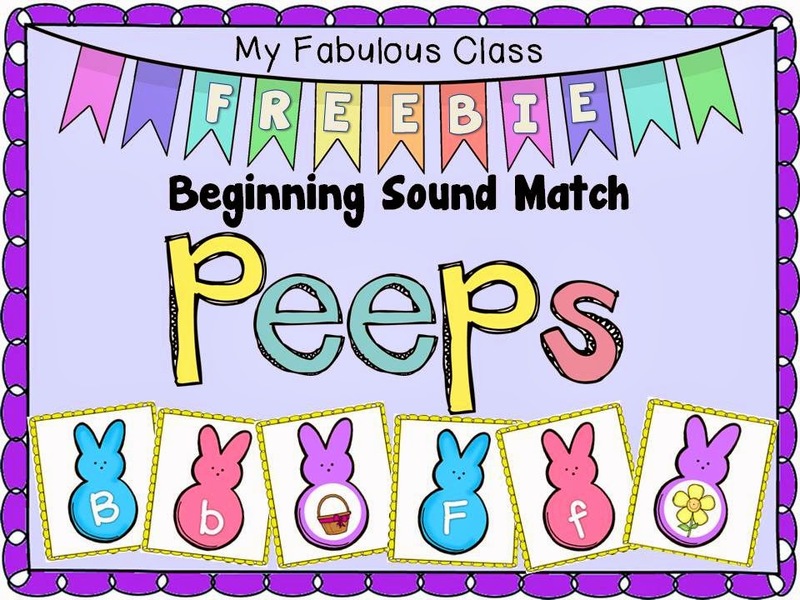 Students will have a blast matching upper and lower case letters with beginning sounds. The second is Super Hero Sums of 10. There are 3 activities for this little freebie. 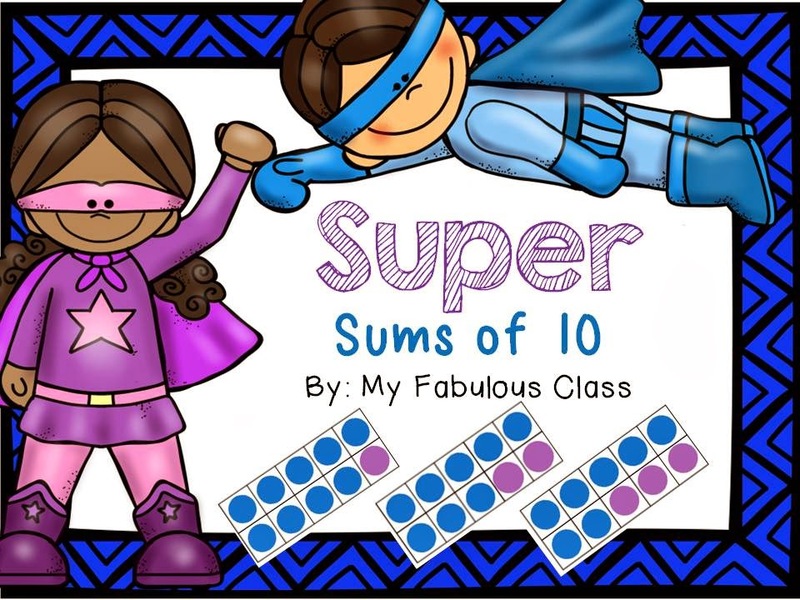 Students can walk the room to find ten frames and record the addition or subtraction equation, walk the room and find equations and color the ten frame, or play memory with ten frames and number equations. I have taken down the previous freebies, however, a kind soul pointed out two mistakes. Oops! This why I don't usually blog so much in one week. I get tired and make mistakes. The Robot Math had a mistake on the LAST page. The Wizard of Oz was missing the rainbow word pen. You can get the entire Robot Math and the missing rainbow for the rest of the week. UPDATE: Robot Math and Rainbow pen are no longer available. Kelly - Thanks for being SO generous & for the fixes! Love these activities!